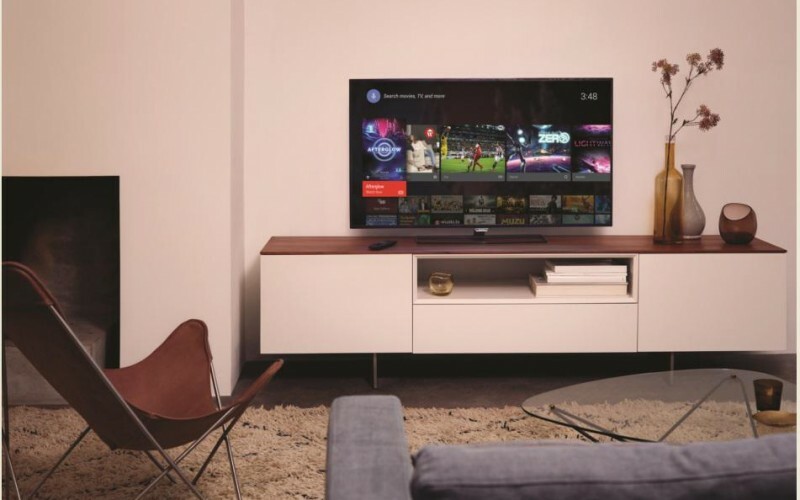 This is the second year that the manufacturer is offering Android TV, initially only on its top-line models of the 8- and 9-series, but now 80% of all its TV sets will feature the Google Play store. There will be a total of 38 models available with Android TV. The adaptation of the Google software has been a success for the company. Research has shown that 90% of all Android TVs sold are connected tot he internet, as compared to 65% of regular smart TV sets. Consumers expect smart TVs to be as fast and easy to handle as their smart phones. This has resulted in a better remote control and usage of a faster chip set – hexcore in the more expensive models. The home screen now also features Top Picks, with personalised picks from across all sources. “People do not want to go in and out of different apps when looking for content,” according to Harmsen. The solution is to offer content from different sources, no matter from which app they come. The apps from the Smart T V Alliance will continue to sit alongside ones from the Google Play store. Apps available also include Flex, VLC and home automation features. The sets run Android 5.0 L.
Gaming is also important on the new smart TV sets with over 200 games available from the like of Gameloft and EA, with games available as downloads as well as from the cloud. Less successful was the launch of a cloud TV service, where over 2,000 live streaming (niche) channels were available o Philips smart TVs. The aggregator of the channels pulled the plug out of its service and TP Vision is now looking for other parties which can supply live streaming OTT channels.